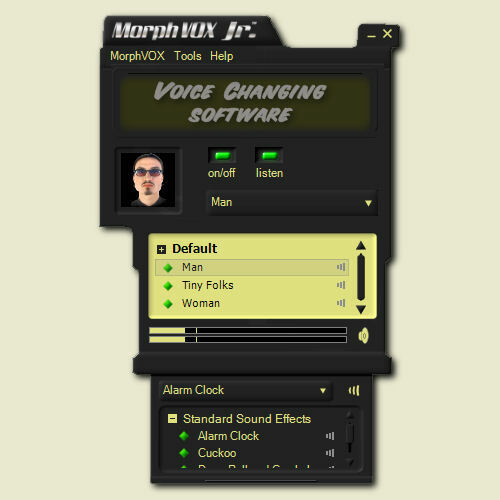 MorphVOX® Junior is free voice changer software that will modify your voice to match your personality. You can sound like a man, woman, or little folk. Built-in voices and sound effects make this voice changer so convenient to use. MorphVOX Junior is optimized for online games, but is also great for prank calling friends via instant messaging and VoIP. This voice changer can even send out car screeches and drum rolls with a push of a key, mouse or joystick button. MorphVOX Junior is fun and absolutely free, Download it today and share it with all your friends.